Vitamin D is important for your baby's growth, bone and teeth development and it is advised to take vitamin supplements containing vitamin D whilst pregnant and breast feeding. Vitamin D is a fat soluble vitamin allowing the body to store it for future use. Our main source of Vitamin D comes from the help of sunlight. Our skin absorbs sunlight rays and converts cholesterol in the skin to Vitamin D.
Vitamin D plays a part in calcium and phosphorus absorption by the intestine, which are essential for healthy bones. Infant formula milks are enriched in vitamin D, but once your baby is 6 months breast milk does not contain enough. Therefore it is advised that breastfed babies are supplemented, as their diet alone is not sufficient. It is important that you and your child get a well-balanced and varied nutritious diet. Fluoride is required for healthy teeth as it protects from decay, but too much can be harmful, causing a mottled effect on the babies enamel as there are developing Babies therefore need to have low fluoride toothpaste. Fluoride in most areas is added to tap water so supplements are not required. Your dentist will advise you if extra supplements are required. When buying toothpaste it should contain approximately 600 parts per million (ppm) of fluoride and avoid fruity flavours to distinguish toothpaste from food as it not only is bad for the developing tooth enamel, but can cause vomiting, so encourage your child to spit the toothpaste out after brushing. 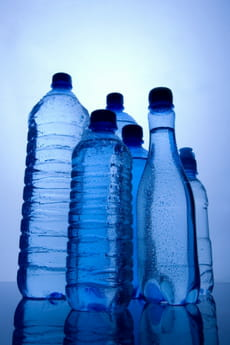 It is not recommended in the UK to give babies bottled water. Cooled boiled water is advised, as the mineral content of bottled water can be harmful to babies. Vitamin K is important for blood clotting, and 1 in 10,000 babies are born suffer from vitamin K deficiency. You will be asked shortly after your babies birth if you would like them to have a Vitamin K injection. Latest update on September 25, 2010 at 12:19 PM by Janey39. This document, titled "Supplements - vitamins D, K and fluoride ," is available under the Creative Commons license. Any copy, reuse, or modification of the content should be sufficiently credited to CCM Health (health.ccm.net).